Animal Shelter Recruits Pokemon GO Players To Walk Dogs–And You Can Help, Too! 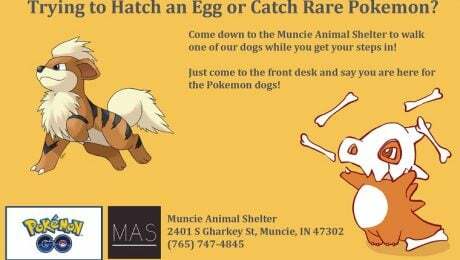 The Muncie Animal Shelter recruited Pokemon GO players to walk their dogs while playing. You can help while you play, too, with an app that tracks walks and donates to shelters!